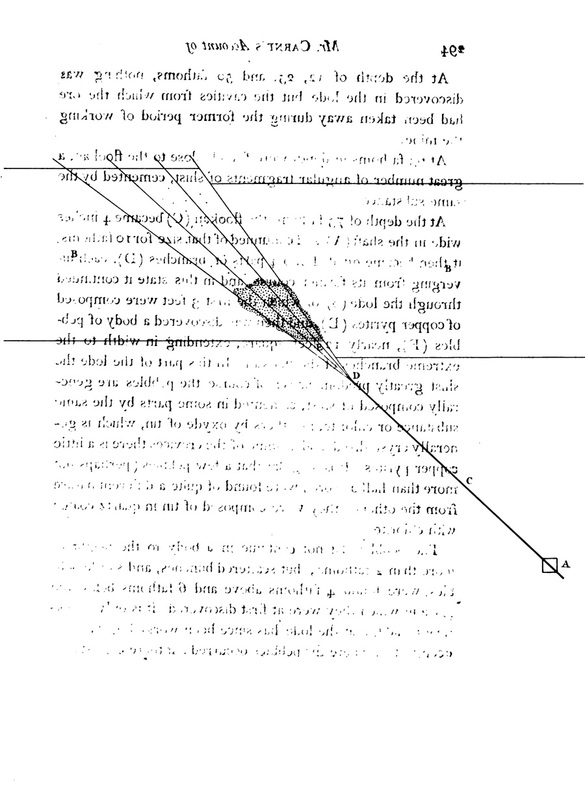 Plate XVIII — here cropped and by some accident showing through to p294 in reverse — illustrating "An Account of the Relistan Tin Mine." By M. Joseph Carne, in a Letter to Davies Giddy, Esq. M.P F.R.S. Read May 7, 1807. In Philosophical Transactions of the Royal Society of London (1807): 293-295. Stippled area is "a body of pebbles... generally composed of schist, cemented in some parts by the same substance or chlorite, in others by oxyde of tin, which is generally crystallized, and in some of the crevices there is a little copper pyrites." The "four shafts or branches" terminate precisely at the reversed words "close to the flookan."